The concept of sharing has been amplified with the development of various social media platforms that enable consumers to share knowledge with each other and subsequently influence their attitudes and purchase intentions. 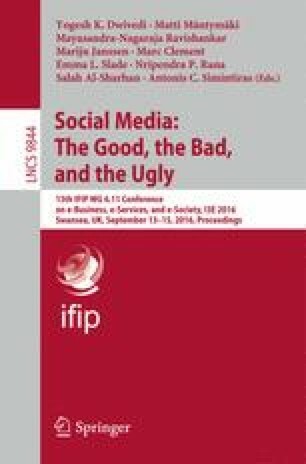 However, recent studies have tended to utilise social psychological theories to explore sharing on social media and have concentrated on the behaviour of those that share rather than the underlying individual motivations that lead them to share. This paper outlines some of the theories used within the current sharing literature and suggests that combining uses and gratifications theory and self-construal theory is better suited to examining the underlying motivations of sharing.